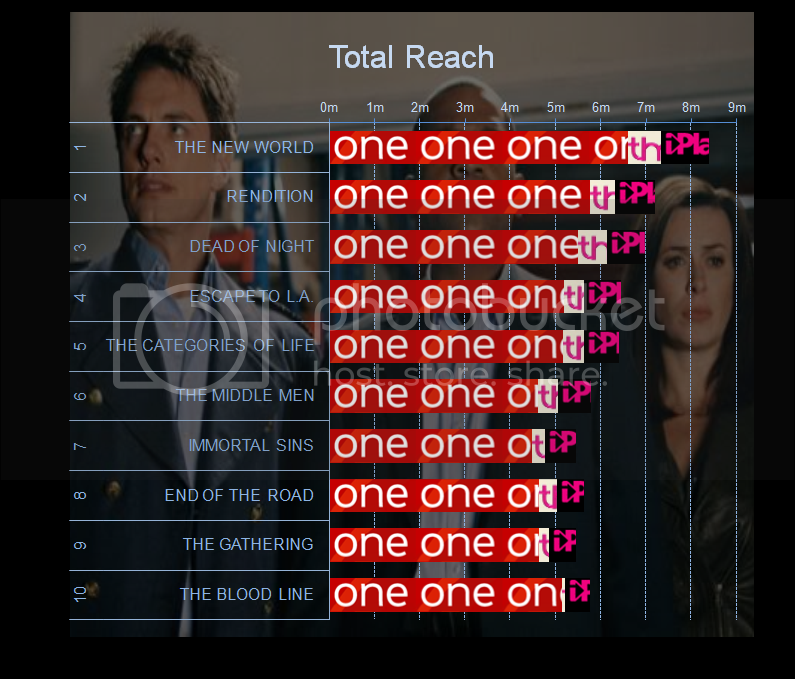 The final episode of Torchwood: Miracle Day has a consolidated audience of 5.13 million viewers, making it the 14th most watched programme on BBC One for the week. With figures now available for the whole series, the 10 episodes averaged 5.17 million viewers each week. 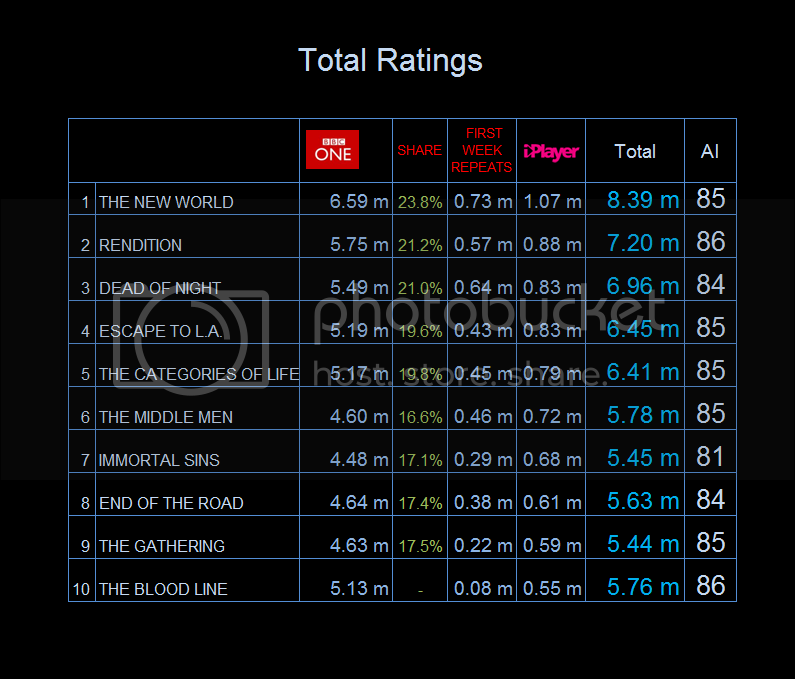 Highest rated was episode one, with 6.59 million watching and the lowest rated was episode 7 with 4.48 million. Each episode ranked amongst the highest programmes accessed on the BBC iPlayer with over half a million requests each. Episode one was by far the most popular episode on the iPlayer with over a million programme requests. Successive episodes scored lower on the iPlayer, but were available for a shorter time. Series Three of Torchwood, Children of Earth averaged of 6.60 million when it was shown on BBC One in 2009. Series One had its preimere on on BBC3 on Sunday evenings, achieveing an average of 1.42 million with Series Two on BBC Two averaging 3.78 million. Full Ratings data can be found in the Series Guide.